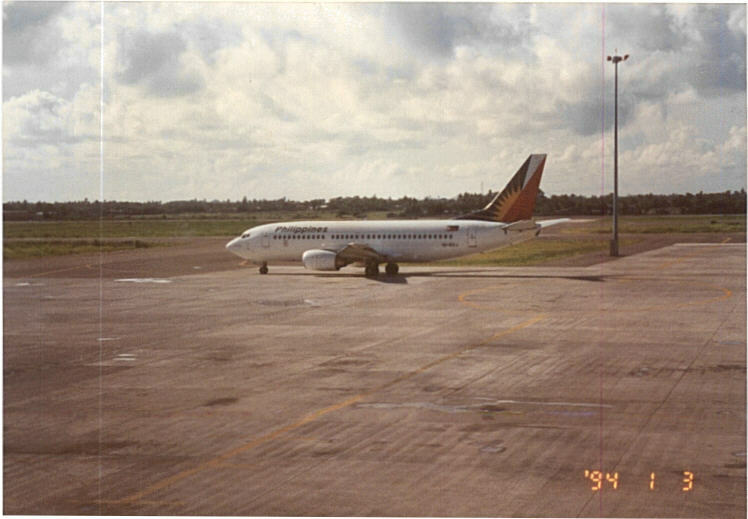 The Mactan Cebu International Airport is located not in Cebu City but in the island of Mactan and in Lapu-lapu City. 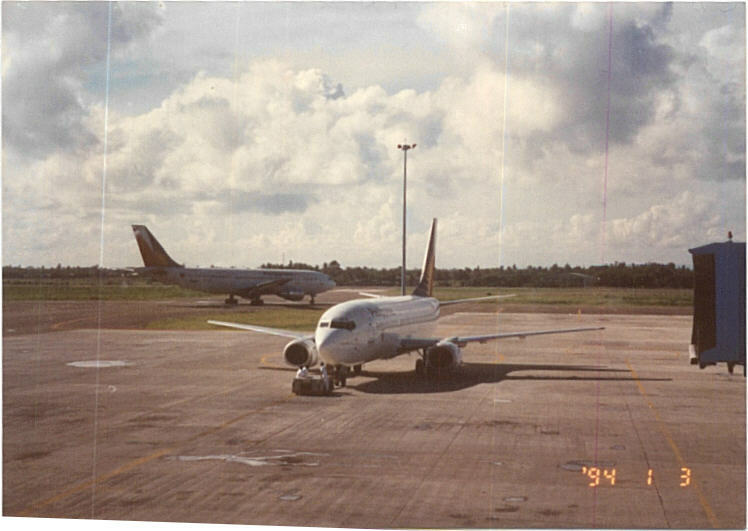 The airport is the second busiest in the Philippines after NAIA and serves cities in the Visayas and Mindanao that do not have direct flights with Manila. Mactan being an international airport, there are also direct flights to overseas destinations including those to Japan, Singapore, Korea and China. Mactan airport is currently headed by Nigel Paul C. Villarete, the former Cebu City Planning and Development Coordinator, who is also known to be a leading proponent of the Bus Rapid Transit (BRT) system that will soon be implemented in Cebu City. Such as system might eventually connect the airport with the rest of Metro Cebu in what promises to be a modern mass transit system that will address the needs of the cities. 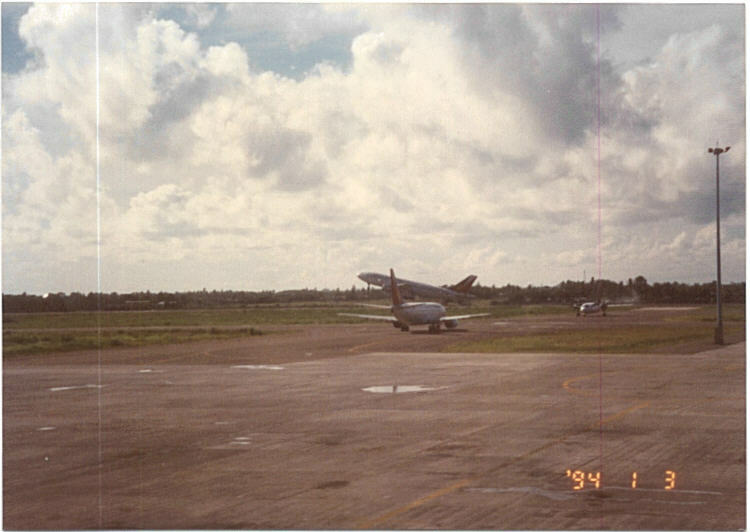 The following few photos were taken at the airport during my second trip to Cebu sometime in the middle of 1996. The date on the prints I scanned is erroneous as I haven’t been to Cebu prior to 1995, when I went there as part of a study team evaluating the traffic signal control system in the city. At the time, Cebu had adopted the Sydney Coordinated Adaptive Traffic System (SCATS) and the system was being considered for Metro Manila as well. I was involved in the evaluation of SCATS in Cebu and the “before” assessment for Metro Manila. I remember that we worked with Cebu’s City Traffic Operations Management (CITOM) as well as the local supplier of SCATS. 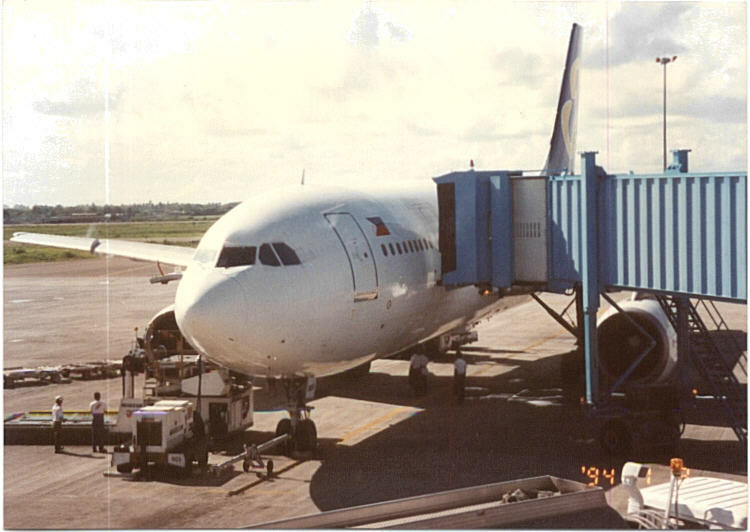 It is interesting to note that there seemed to be no other airline aside from PAL at the time. This was not entirely true as there was one Grand International Airways or Grand Air (by the Panlilio family) operating between Manila and Cebu. 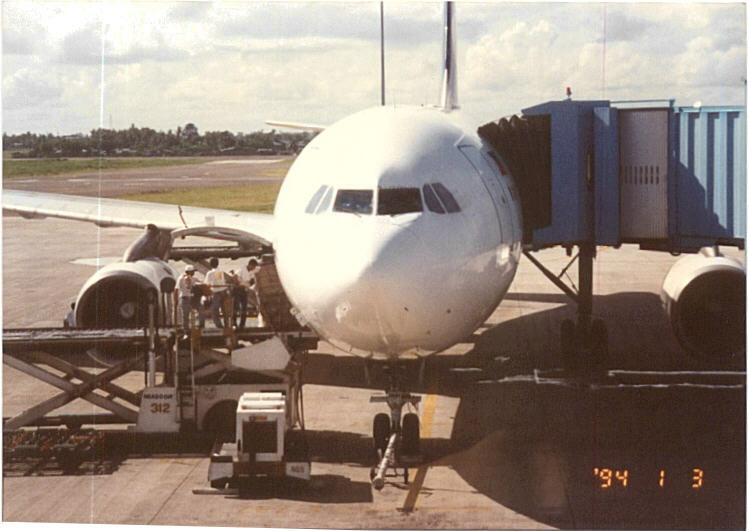 Unfortunately, that airline’s operations were short-lived and they could not solve the cost and management problems related to airline operations despite the upstart being a precursor to today’s budget airlines. Cebu Pacific eventually was established and is now the country’s largest airline despite it being classified as budget. 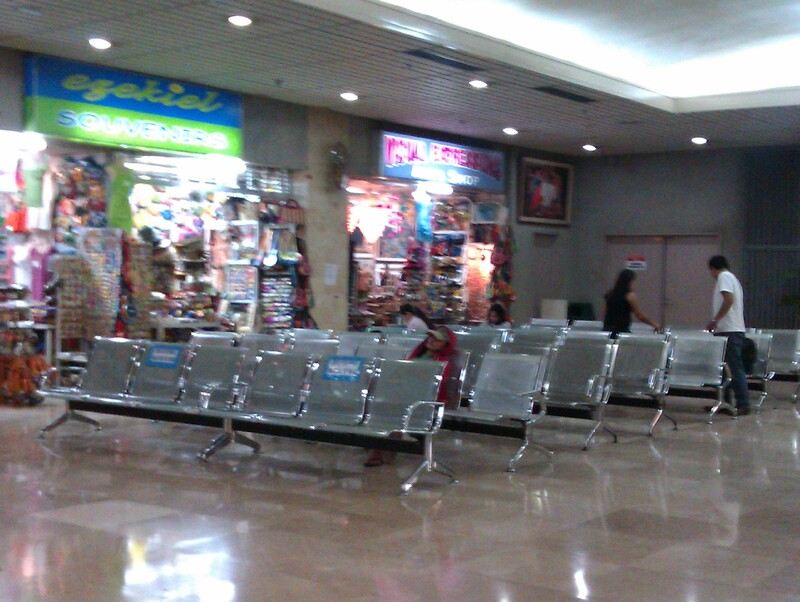 I forget where I saved various photos of the Mactan airport that I had taken during subsequent visits to Cebu. The following photos are a few I got from a friend who is currently involved in the Cebu BRT project and happened to have a few snapshots of the passenger terminal. I have not been to Cebu for more than three years now so I really need to have another look at the airport to see the improvements in the terminal. 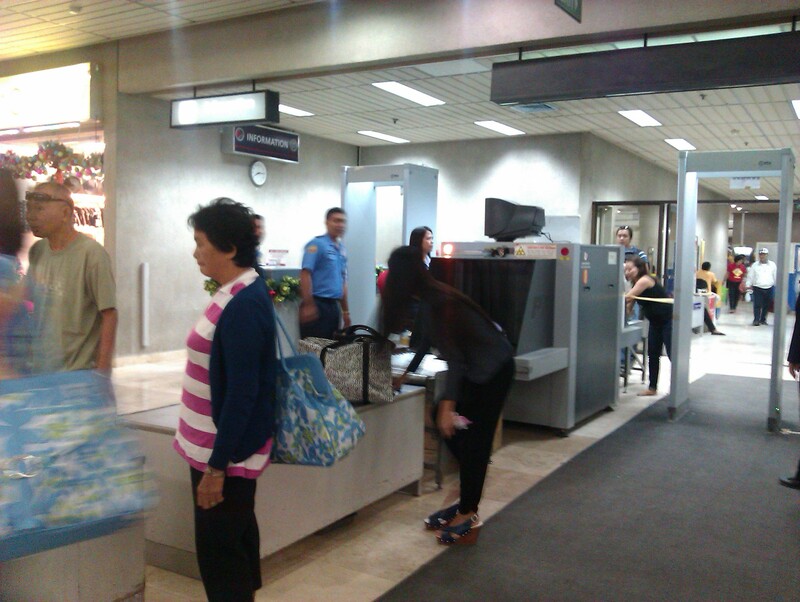 Security check – Mactan airport has modern security facilities and is perhaps second only to NAIA in terms of equipment for checks to ensure the safety and security of passengers. The waiting area is spacious enough for some passengers to take a nap while waiting for the boarding call. The terminal has had a few upgrades here and there including renovations to its toilets, which are perhaps among the things people talk about when traveling through air terminals. By d0ctrine in Airports on April 29, 2012 . 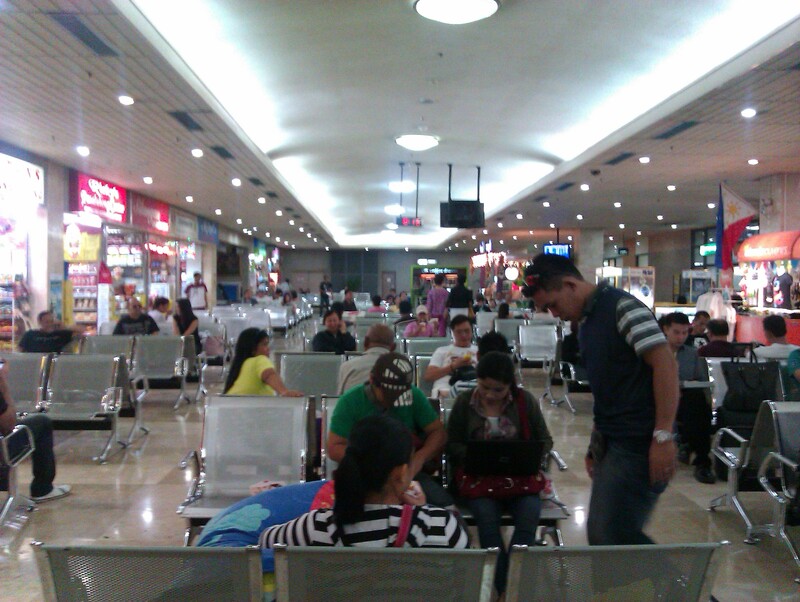 Iloilo’s is a much newer terminal compared to Cebu’s and is comparable to Bacolod-Silay, which was completed months after Iloilo. In the latter case, renovations were made to improve on the old terminal and is much like what is being planned for NAIA Terminal 1.